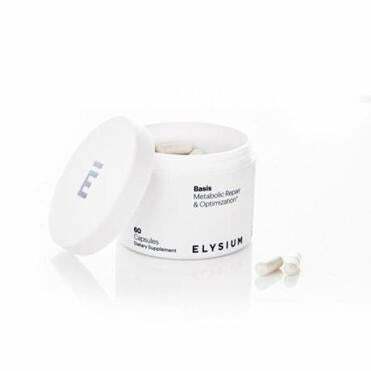 Basis is an “anti-aging” dietary supplement marketed by Elysium. Millions of Americans, seeking improved health, take “natural product” dietary supplements, from Gobi berries to Echinacea. With little or no evidence that these products confer health benefits, ongoing struggles between the supplement industry and the medical science community are hardly surprising. So why did seven Nobel laureates associate with a company that markets an unproven dietary supplement — especially at a time when the integrity and reproducibility of bioscience research is being questioned? In this case, the product was marketed as an “anti-aging” supplement that improves “cellular health,” a description that connects it to a lineage of “cures,” remedies, and “miracle drugs” that extend back at least as far as the Fountain of Youth. But, in fact, cellular mechanisms for aging are an exciting area of contemporary research. Manipulation of specific genes in yeast, worms, and mice can increase their lifespan. Since the same genes exist in humans, their manipulation could produce treatments for human age-related disease and for aging itself. But translating such insights to the clinic is challenging, and therapies based on these ideas have not emerged. The supplement industry markets vitamins, minerals, herbs, botanicals and a growing list of other “natural” substances, with annual US revenues over $20 billion. The regulatory path to marketing supplements differs from that of prescription drugs. Supplements can’t claim efficacy for treating specific diseases, but can, without evidence, claim to affect the “structure and function” of the body. Many claim to extend life and improve various symptoms, but the standards of the industry are inconsistent and widely criticized. Supplements may not contain the labeled substances in specified amounts, and sometimes contain harmful contaminants. The regulatory and legal system isn’t up to the task of addressing these issues. Enter Elysium. Backed by top-tier venture capital, the company crafted a business opportunity in the supplement world. It first identified two marketed “natural molecules” with plausible but unproven benefit, and combined them in a new pill, attractively boxed and named Basis. One is nicotinamide riboside, a version of vitamin B3; the other is pterostilbene, an antioxidant found in blueberries. Both have produced benefits in cells and animals, and are generally viewed as safe. To differentiate themselves from other providers, Elysium engaged a highly regarded researcher, MIT’s Leonard Guarente, as scientific founder and public face of the company. Guarente made important discoveries about aging in yeast, and was frustrated by unsuccessful efforts to develop antiaging drugs through FDA approval. Seeking another path, he and Elysium recruited seven Nobel laureates to advise and lend their names. With Nobelists on board, additional outstanding scientists became advisors. Using sophisticated advertising and social media, the company sells Basis directly to consumers, promoting vague health benefits linked to the glow of scientific stars. Boston-area companies have spent nearly $1 billion on the hunt for ways to help people live longer and healthier. Elysium does promote one feature unknown among other supplement companies — an intention to perform clinical trials. An unpublished study promoted on their website claims Basis increases levels of a key molecule, NAD. While potentially of scientific interest, the “trial” provides no evidence that Basis improves “cellular health,” the stated goal of taking it. In 2015, the Globe reported Elysium’s launch in a story featuring two Nobelists from Harvard. As dean of Harvard Medical School, I received expressions of concern from faculty who saw financial incentives driving an otherwise inexplicable association. I thought that explanation unlikely, but was truly puzzled. Eric Kandel is professor of neuroscience at Columbia and chairs Elysium’s scientific advisory board. His Nobel Prize in 2000 was for fundamental discoveries about the cellular basis for memory, and he’s still active and vital at 87. When I asked him recently about his association, he cited the importance of new approaches to aging, defended the plausibility of the science, and lauded the company’s commitment to clinical trials. Reminded that people were being treated without such trials, he admitted unhappiness about this, and hoped the practice would change. He was uncomfortable that Nobel prizes were being used as a marketing strategy. Five other advisors praised Elysium’s strategy for developing safe and effective natural products. They stressed the importance of clinical trials, but weren’t clear how they’d be conducted or the results used. None recommended that people take Basis. The ingredients in Basis might improve health, and they deserve careful study. But the history of drug development reveals that despite hopeful results in animals and cells, and the good intentions of Elysium’s advisors, it’s unlikely that Basis improves health. So why have those distinguished advisors allowed Elysium to use their reputations to promote it? Two conflicting narratives describe the company. In one, it sells supplements in a lightly regulated and evidence-free environment, leverages the reputations of great scientists, and overstates the narrative about clinical trials to market them, with sales having primacy over health efficacy. The alternate view has them reforming the supplement industry by engaging great scientists and rigorously testing products to establish or refute health benefits. Which narrative more closely resembles reality? That depends. The scientific advisors could use their clout to promote the second version. How? By preventing their Nobel credentials from being employed as a marketing tool, and insisting that Basis and any future products be shown to have efficacy before being marketed, even if not legally required. In this way, the stated intentions of the founders and scientists would be legitimized. By serving as an example of how the dicey science of dietary supplements could more closely mirror properly documented medical research, the nation’s health might even be enhanced. Dr. Jeffrey S. Flier is distinguished service professor at Harvard Medical School and is a former dean of the school. Correction: Because of an editing error, an earlier version of this column mischaracterized the company’s marketing materials for Basis, a dietary supplement. Elysium does not use the phrase “anti-aging” in its marketing material for Basis.